Delhi Chief Minister Arvind Kejriwal on Saturday called upon people to defeat the "dangerous" BJP government at the Centre at any cost. 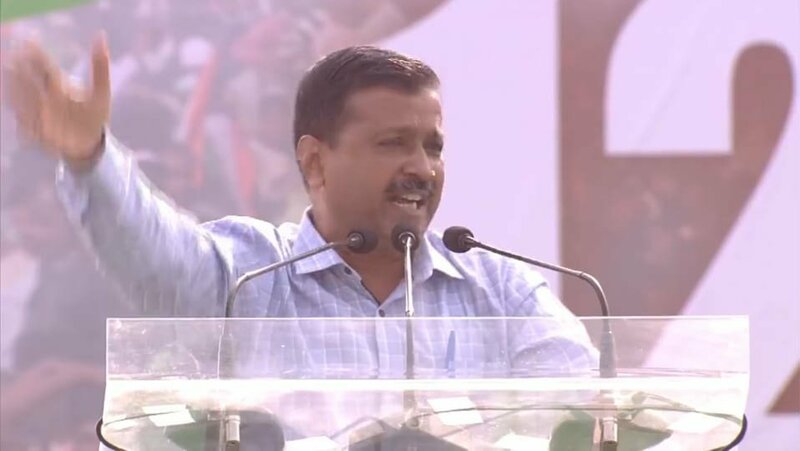 Kolkata: Delhi Chief Minister Arvind Kejriwal on Saturday called upon people to defeat the "dangerous" BJP government at the Centre at any cost. Stating that the country was at the crossroads of a serious crisis, he said there is need for immediate change of the Modi government to save the country and democracy. "If the (Narendra) Modi-(Amit) Shah combine continues to rule the country by winning the 2019 elections, it will change the Constitution and further elections will never take place. A fascist regime will set in as was done by Hitler in Germany," Kejriwal said at TMC's mega opposition rally here. He accused the BJP of creating enmity among people in the name of religion. "It was Pakistan's dream to split this country into pieces. 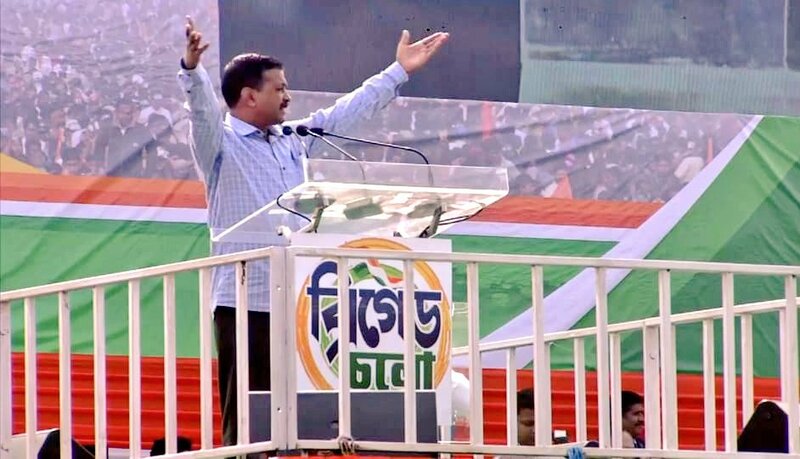 This BJP government is going ahead in that direction by creating enmity among people and dividing the nation on the lines of religion, language..." Kejriwal said at the Brigade Parade Grounds here. Slamming the central government, he said in the last five years, it has failed to create employment opportunities and farmers were facing acute crises. "Demonetisation has taken away all the scope of employment and Modi's friendly insurance companies were making money at the cost of farmers," the Delhi CM alleged. He added that the objective of the general elections was not to find the next prime minister, but to oust Modi and his party.